Throughout the course of the tournament, the quality of the performances was high, and the games enthralling. Forget that the crowds were small, or that most overseas viewers could not tune in visually until the semi-finals. 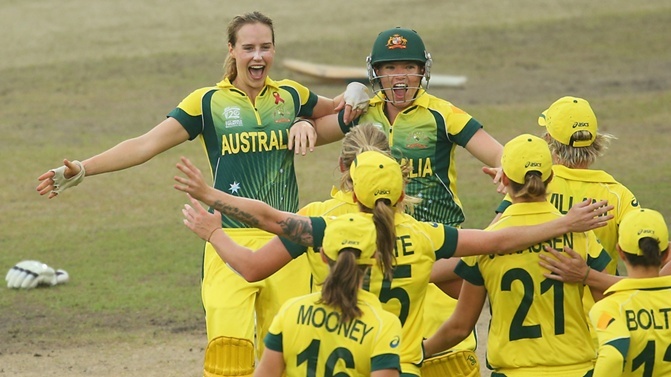 The World Twenty20 proved two things; that the shortest format is booming for the females, and that Australia is still one of the teams to beat on the international women’s circuit. Granted, 2014 sees a team very different to the golden age of the early to mid 2000s. However, there can be no denying that the feats of the Meg Lanning captained team have skyrocketed both the audience of the women’s game and acknowledged the strength of the national side. The direction was always forward, Lanning also admitted before the successful final against England. Looking back into the 2000-2010 era, names like Cathryn Fitzpatrick, Melanie Jones, Karen Rolton and Belinda Clark roll off the tongue. Most have gone on to coaching or mentoring roles. Australia was strong back then, but the growth stage of women’s cricket was only being “planned”. Now, with the Australian players receiving a massive pay rise, this is just the start of the long road – one that is not without bumps and bruises. Sexism still exists in the world of sport, and in particular women’s sport. The only way to slowly spin the tables around is to have events like this showcase just how important a) it is to “keep separate” the women from the men and b) use the world competitions as a staging ground for new talent. The downside in Bangladesh was the crowds. However, by the time finals came around, the interest steadily rose. One major item to highlight is the coverage the Southern Stars recently received. Not until the semi-finals – and in particular in Australia – were the matches telecast. Even then, they were only on Fox Sports. A disappointing result, given the Southern Stars won their third consecutive World Twenty20 tournament. In the 2012-2013 census, the number of females that participated in organised cricket was 178,416. The number is indicative of the large interest women have in cricket; and this is now being reflected in funding at grassroots level and the role female cricketers are now in as ambassadors for the game. Twitter was the social platform for fans to follow the games, but the thrill is lost without the visualisation or radio commentary. What the victory represents is a confidence in both Cricket Australia’s investment and the depth of talent coming through the Australian ranks. Significance must also be placed on how much the players want to not only play on the field, but share the spoils with fans. That says a lot about connecting with those who support the team and allow these opportunities. As sport shifts into a more professional environment – and in particular the women – the chance of sexist remarks and separating gender based on skill level could well be minimal. Establishing a role-model type for the face of Australian women’s cricket has already been done. Using this win as a platform will only play positive cards into the hands of Australian cricket authorities.